Diatomaceous earth (DE) is a fine powder made from the fossilized remains of tiny, aquatic organisms called diatoms whose skeletons are made of a natural substance called silica. As well as containing up to 90% silica, which is used to build hair, skin and nails, DE has a negative ionic charge and is considered to be a very ‘hard’ substance. In fact, diatomaceous earth has a hardness of seven, while diamonds are a nine. Shaped like a cylinder with holes in it, the fossils have razor sharp edges which don’t affect humans but can be deadly to parasites and small insects. All these characteristics are what make diatomaceous earth so effective at a variety of applications. You’ll find DE listed as an ingredient in toothpaste and cat litter and it is often used as an activator in blood clotting studies, a thermal insulator, an anti-caking agent, a mechanical insecticide and much more. Several grades of diatomaceous are available but many contain added chemicals. To use in the home, on animals, or to take internally, it’s very important you only use the food-grade variety – such as this one. The FDA has rated food-grade diatomaceous earth as ‘Generally Recognized as Safe’ (GRAS), specifically when it is used as part of a food-filtering process. All of the diatomaceous earth products highlighted below are food grade. Conventional toothpaste is loaded with chemicals and can even cause mouth ulcers, tooth sensitivity, and tooth damage! 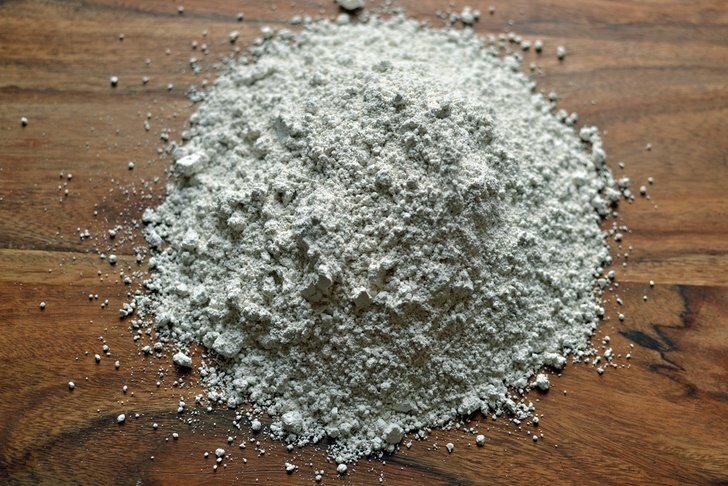 Make your own homemade alternative instead, harnessing the cleaning power of diatomaceous earth. This paste recipe gets your teeth really clean, removes stains, reduces sensitivity and puts important minerals like calcium back into your teeth. Mix diatomaceous earth with calcium powder, coconut oil and peppermint essential oil and use it as you would regular paste. For more reasons to avoid store-bought toothpaste, and even more homemade recipes, check out this article. Deodorant sprays and roll-ons are other products that are filled with hormone disruptors, carcinogens and even pesticides! They can irritate the skin, stain clothing and, to top it all off, they become less effective over time. Luckily, there are plenty of natural DIY options for those who don’t want these harsh chemicals in their body. However, a lot of these homemade deodorant sticks use baking soda – which is fine for many people – but irritates those with sensitive ‘pits. Diatomaceous earth is a fantastic alternative to baking soda – it absorbs smells just as well but isn’t as alkaline. Try this recipe for natural protection from underarm odor, made using cornstarch and coconut oil along with diatomaceous earth. Silica is one of the most important trace elements in our body and is crucial for healthy hair, skin and nails, as well as many bodily functions. Research has proven that silica increases collagen production for strong bones, thick hair and clear skin. A study at the University of Cincinnati’s College of Pharmacy investigated the effect of silica on hair. Forty-eight women with fine hair were given either silica or a placebo daily for nine months. At the end of the study, the researchers discovered that the women taking silica had thicker hair due to increased elasticity and tensile strength. Diatomaceous earth is made up of up to 90% silica, making it a far richer source of the mineral than any beauty-boosting supplement you could buy. For thick, long hair, take one tablespoon of food-grade diatomaceous earth daily and follow these other hair healthy tips. What’s worse than head lice? Mutant head lice! 2014 research has discovered that over 99% of head lice tested had developed gene mutations which made them resistant to most over-the-counter treatments. The insects won’t be able to develop a resistance to DE though as it works mechanically to kill the lice, absorbing the fat from their protective outer coating and drying them out. While diatomaceous earth is non-toxic, it’s best to avoid breathing in the dust. When treating lice, place a t-shirt upside down over your child’s head before applying the powder to the hair. Tie off the open end of the t-shirt and massage the DE into the scalp. Allow it to sit overnight, shampoo out and comb through using an extra-fine comb. Repeat this process once a week for three weeks. A deficiency in silica leads to collagen breakdown, giving the skin a dull and aged appearance. Taking a source of silica regularly can prevent damaged skin, and can even help with other skin problems like eczema, rashes, acne and cuts and scrapes. In one study, women with sun-damaged skin (which affects connective tissue and causes loss of elasticity) were given either silica or a placebo daily for 20 weeks. Measurements of skin and nail health were taken throughout the study and, at the end, researchers concluded that those taking silica had decreased skin roughness and less brittle nails and hair. Diatomaceous earth can be taken internally for skin health but it can also be used topically, in the form of a face mask or facial scrub. To make a mask, simply mix the powder with water and apply to the face. Once it dries, wash off. For a scrub, mix a half tablespoon of liquefied coconut oil with two tablespoons of diatomaceous earth and massage into the face or body before rinsing off. Just as the silica in DE can benefit your hair and skin, it can benefit the nails by supplementing the nail bed, thereby improving support and strength. In addition, many people claim a daily dose of diatomaceous earth can clear up nail fungus. When taken regularly, DE can help your digestive system. Not only does it help create more regular bowel movements but your increased collagen intake will aid your body in absorbing more nutrients and flushing out waste. One in three American adults have high cholesterol, doubling their risk of heart disease. Diatomaceous earth may play a role in bringing cholesterol levels back into the normal range. A 1998 study discovered that DE is capable of reducing blood cholesterol and positively influencing lipid metabolism in humans. In addition to taking DE, start making some of these natural changes to your lifestyle, and enjoy plenty of cholesterol-lowering foods – something studies have shown can be just as effective as taking prescription medications! Many people use diatomaceous earth regularly to carry toxins out of the body, with research showing it can effectively remove heavy metals from water. As it passes through the digestive tract, its strong negative charge means that it is naturally attracted to a variety of chemicals. It is thought to carry mercury, lead, pesticide residues and other toxins and heavy metals out of the body. Be aware that it can also absorb some drugs. If you use regular medications, take DE with caution. According to the Natural Resources Defense Council, topical flea and tick products contain many poisons which are not safe for either pets or humans. The Environmental Protection Agency has said that these flea treatments for cats and dogs actually kill hundreds of pets each year and injure tens of thousands. If you want to protect your pet from fleas and ticks without resorting to harsh chemicals, invest in some diatomaceous earth. As with head lice, it works well on its own to kill the critters or you can follow this recipe and mix it with neem and arrowroot for added effectiveness. Kitty litter is a necessary evil but you can make your cat’s litter tray that little bit more bearable by mixing in some DE. Not only does it eliminate smells, but it can absorb twice its weight in liquid. It’s also completely odorless so your cat won’t even know it’s there. Only use diatomaceous earth in a well-ventilated cat box – and not in a covered litter tray – as regular inhalation of the particles is not advised. DE doesn’t just work to kill critters infesting your companion animals, it takes out fleas and bed bugs when they are in your bedding, carpets and soft furnishings. Dust the affected areas with a light layer of diatomaceous earth and allow to settle. Leave for a few hours, or overnight, before vacuuming up. One or more treatments may be required to fully remove all the insects. Here are some more natural ways to get rid of bed bugs. This natural product is a ‘must’ for organic gardeners everywhere. 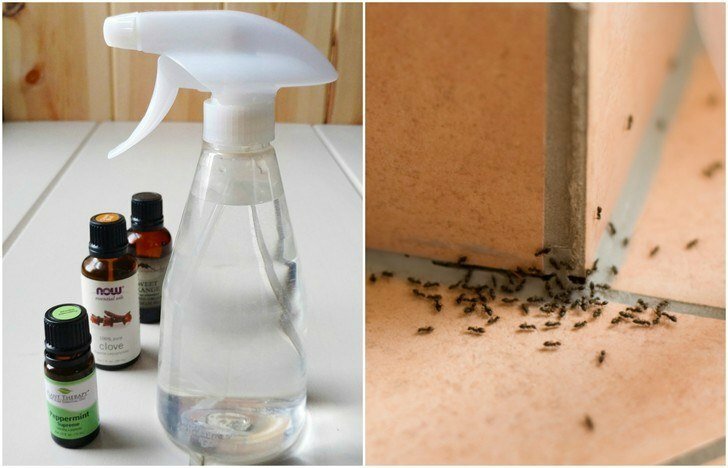 It’s a powerful insecticide and can be used against a variety of garden pests including aphids, ants, mites, earwigs, cockroaches, snails and slugs. However, according to Gardening Know How, DE won’t harm worms or any beneficial microorganisms in the soil! Sprinkle the powder – by hand or using a dust applicator bottle – around the garden on the affected areas. If it rains right after the dust application, it will need to be reapplied. If you’re looking to store grains, legumes or other non-perishable food items for long periods of time, you’ll need to make sure they are protected from small insects, which often manage to miraculously make their way into food stores. Diatomaceous earth can be used as an organic method to rid food stores of bugs without harming people. It also keeps food dry, preventing mold, and is inexpensive and easy to use. For each 5 gallon container of grains or legumes, mix in one cup of food grade diatomaceous earth. When you’re ready to use your supplies just rinse them before cooking, or leave as is – the DE will add some trace minerals to your meal! Most natural living enthusiasts know that baking soda makes a fantastic (and economical) carpet deodorizer. But did you know that adding DE will amp up its effectiveness? Mix up this recipe – made with baking soda, several drops of an essential oil of your choice and a couple of spoons of diatomaceous earth. Not only will it freshen and kill odors, but you won’t have to worry about bed bugs or fleas in the carpet. It’s not just carpets that DE can remove smells from. Leave a small container of the powder in your fridge to neutralize powerful food odors, remembering to replace every two weeks. You can also sprinkle some diatomaceous earth in your running shoes or the bottom of the garbage can to remove funky smells and kill bugs. Diatomaceous earth’s abrasive quality makes it a safe yet powerful scouring agent to remove greasy stains on dishes. Add a scoop to your dish soap and it will have those tough marks gone in no time. For best results when taking DE internally, be sure to take it on an empty stomach (like first thing in the morning). Start with a teaspoon and gradually work your way up to a tablespoon daily. Mix the powder with at least 12 ounces of liquid – water, milk, orange juice or smoothies are all good choices. Mix it well and drink immediately. Because diatomaceous earth is highly absorbent, it may have a dehydrating effect. Counteract this by simply increasing your fluid intake.